Award-winning London-based cocktail bar Callooh Callay will be running a special one-off bar takeover at Cask in Cork on Wednesday 27th June. Cork is set to come alive this summer as Cask cocktail bar on MacCurtain Street in the city’s vibrant Victorian Quarter hosts a series of special one-off Bar Takeovers over the next three months. 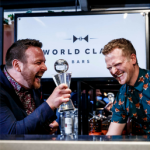 The first of these events is sponsored by Diageo Reserve and will see globally recognised Callooh Callay from Shoreditch, London taking over the bar on Wednesday 27th June, giving guests a chance to sample their iconic signature drinks for one night only. Drinks served on the night will include Radishing Lady – Tanqueray gin, radish, créme de Mure, triple sec, strawberry, lemon & egg white, Freyja’s Ice Tea – Ketel One vodka, orgeat, cherry liqueur, lavender liqueur, lemon & soda and Sea of Trees – Lapsang Taqueray gin, Antica Formula vermouth, cacao & Pedro Ximenez sherry. Callooh Callay has been a long standing featured bar in ‘The World’s 50 Best Bars’ and was named ‘Best International High Volume Cocktail Bar’ at Tales Of The Cocktail 2016. The other two events in the Bar Takeover series will see Edinburgh’s Panda & Sons (nominated for Best International High Volume Cocktail Bar 2017 at the 11th annual international Spirited Awards) and Super Lyan (of the Lyan family of bars, owned by cocktail superstar Ryan Chetiyawardana) from Hoxton, London, coming to Cork on 24th July and 14th August respectively. Andy Ferreira, Bar Manager and Chief Mixologist, said: “The amazing thing about Callooh Callay is its longevity at the top over over the last decade – that is what I find so inspiring and what we aspire to replicate here at Cask. I’m lucky enough to call their GM Aaron a close friend, so Callooh Callay was the perfect fit to kick off our summer season of visits from internationally recognised bars. 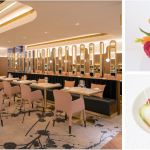 It’s a chance for the Cork public to taste some amazing drinks first and foremost but also a great opportunity for those who work in the industry to learn from the best. I would strongly urge anyone who works in the industry to come and hear Aaron’s talk on Wednesday. He’ll cover two topics which are hugely important in the hospitality sector at the moment, health and training. Massive thanks to our friends in Diageo Reserve for making this possible with their support. In addition to their bar takeover, on Wednesday 27th June, Callooh Callay will also be hosting a seminar to give young bartenders in Cork the chance to learn how Dublin-born Aaron and the team at Callooh Callay work and create their menus. The seminar will consist of a talk from 3pm to 5pm which will cover topics ranging from training to health. Places are limited – email events@caskcork.com to book your spot.